Automotive companies periodically redesign and freshen their vehicles to increase their appeal to buyers, but the 2019 Chevrolet Malibu, 2019 Chevrolet Cruze and 2019 Chevrolet Spark were specifically redesigned to add value in the more affordable vehicles. Chevrolet is even creating new trim levels for the vehicles that add better infotainment systems and sportier styling on some of the lower priced vehicles in the Chevy line-up. 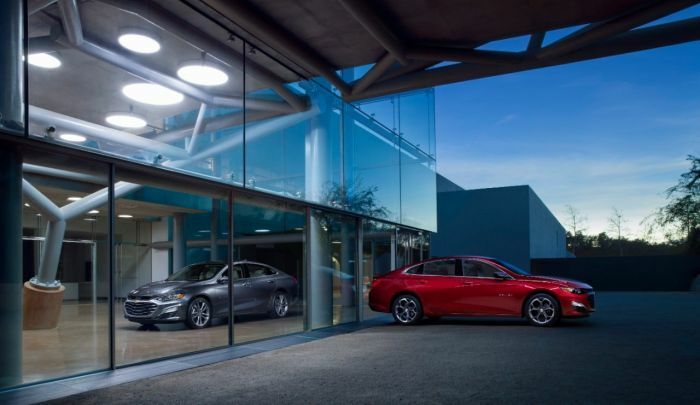 In other words, the 2019 Malibu will better compete with the Toyota Camry, Honda Accord and other similar vehicles in the market. While many of the automakers are concentrating on the truck and SUV markets going forward, Chevrolet is still committed to pursuing cars. The Malibu’s facelift gives the family-sized vehicle an all-new front fascia. The split grille and headlamps are up-graded. The headlamps are integrated with the upper grille and the larger, bolder lower grille, giving the car a more powerful presence. Some of the higher end models will have high-performance LED headlights, as well as LED daytime running lights. The Malibu will also offer a blacked-out version with a special black grille, trim and spoiler. The new blacked-out trim appears on several models, from several different vehicle makers, giving a personalized, sportier appearance. The upgrades give the 2019 Cruze and 2019 Spark similar looking front fascias, in keeping with Chevrolet’s family appearance. According to the Chevrolet release, “Cars are important part of today’s industry retail and fleet markets, and represent a quarter of the industry’s retail market.” While trucks and SUVs create higher profit margins, none of the automakers can afford to ignore the car side of the industry. Smaller, more affordable vehicles bring in entry-level buyers. The automakers can build brand loyalty and often grow those customers into some of their larger and more profitable vehicles. Automakers cannot afford to put all of their eggs in the truck and SUV basket. Both GM and Chrysler were driven into bankruptcy when the economy crashed, gas prices soared and people were searching for more affordable vehicles. Those bitter lessons mean that all vehicle makers should keep a few entry-level and affordable cars in their mix. The new models will be available in the fall.